Water decals, water decals, water decals! The easiest way to make a gorgeous mani in minutes. :) At least that's how I feel. 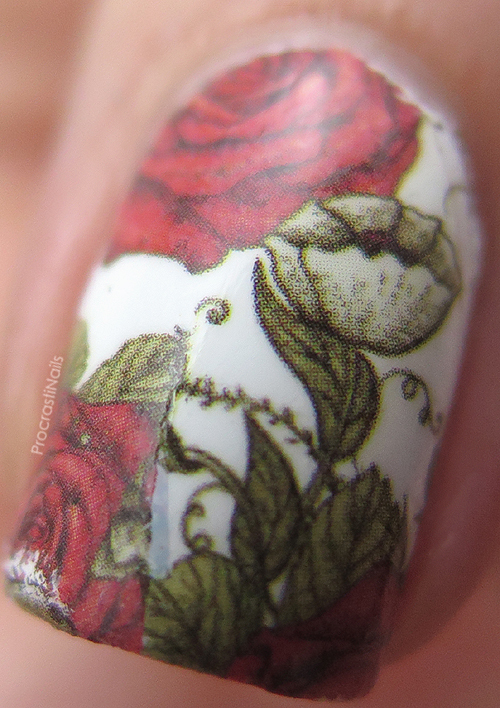 Today we're looking at this romantic rose design with lovely and slightly gothic-feeling figure on my accent nail. I think she is just lovely to look at, and I wore this design for quite a while before taking it off because I loved how she looked so much! I used the bottom row of images and they were all opaque, which I wasn't expecting. 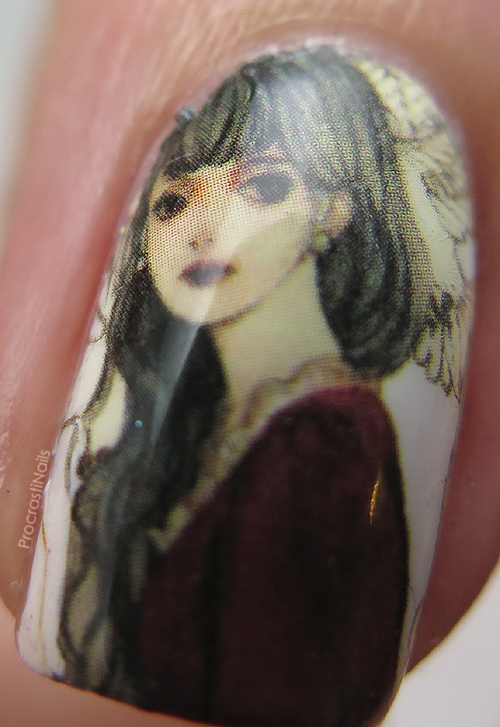 I had thought that like last time they would be transparent, which is why I went to the effort of putting down a solid base coat of Sinful Colors Snow Me White first! Because of that before you use any decals from ND I would recommend cutting a small corner off to test, and to see if it is transparent or opaque. That's what I'll be doing in the future so there are no surprises. 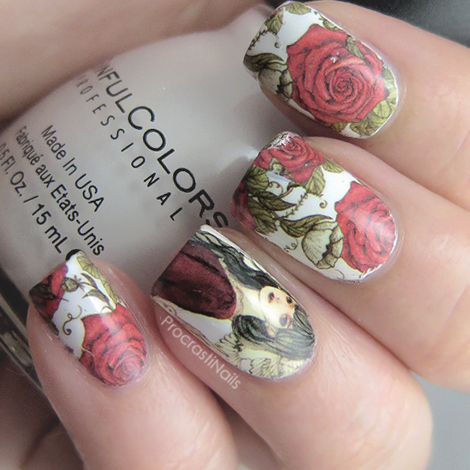 I think the final look is a bit romantic, a bit gothic. And I LOVE IT! 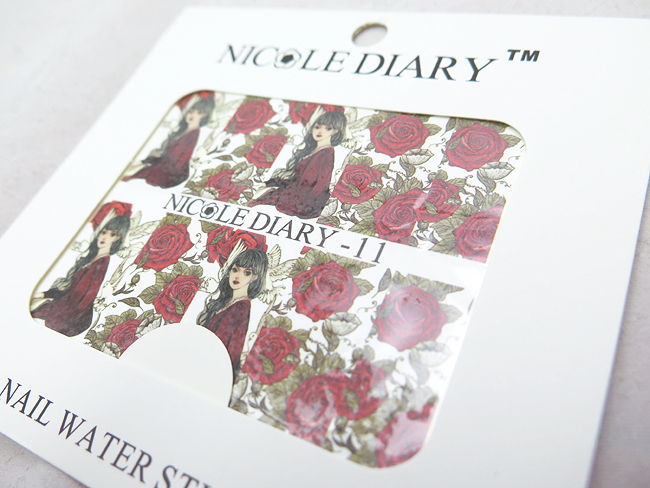 You can check out Nicole Diary's store through AliExpress and check them out on instagram, too! I really like the romantic feel these decals have. Its nice. 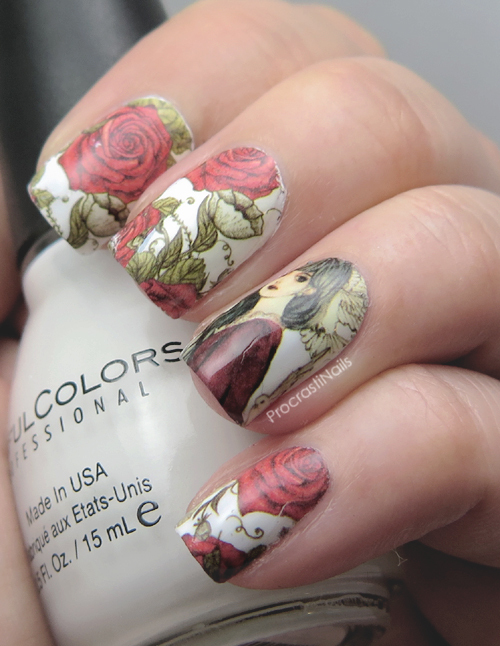 I have to say this isn't my favorite design, but you wear them beautifully!! How is it possible I still haven't tried decals (other than ones I made myself)? 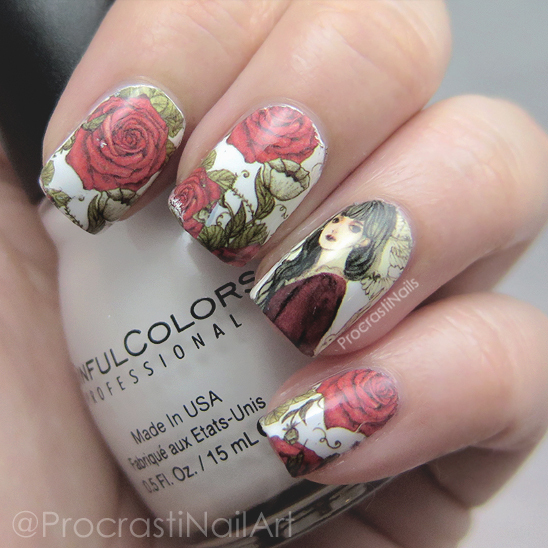 You do such a great job applying them perfectly!